This is kind of a surprise! Sony is releasing a new Aqua Blue PS Vita in America on November 6, 2015! While Japan gets a seemingly endless stream of uniquely colored PS Vita models (have you seen the Persona 4 Dancing All Night one? Sah-weeeet! ), and even has multiple colors available standard for the platform, the U.S. has pretty much had Black, Black Version 2 and White in a bundle with AC Liberation. Well no longer are Americans stuck seeing in black and white... Now there is another choice... Aqua Blue! Now who dared to call the PS Vita a “legacy” system, huh? Would a “legacy” system have such a sweet, colorful version of itself release at this point? Would it? Huh? Oh, that’s who said it was a “legacy” system? Yikes! 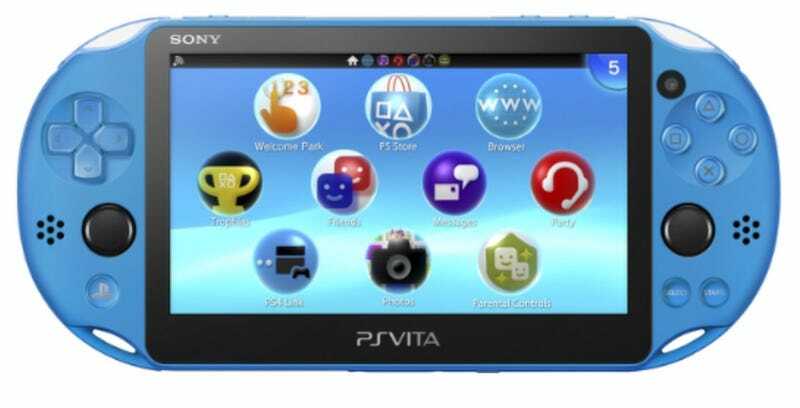 Legacy Blue PS Vita, coming to a GameStop near you this November!